WestJet has confirmed its first transatlantic operations to be served by Boeing 737-8 MAX, with the low-cost carrier set to make its debut on the European mainland. 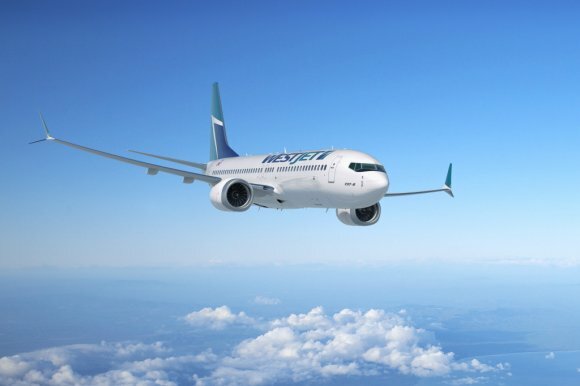 Canadian carrier WestJet is to launch two new transatlantic routes as part of its summer schedule, connecting Halifax Stanfield International Airport (YHZ) with Paris Charles de Gaulle (CDG) and London Gatwick (LGW). The Paris route is the airline’s first to Europe’s mainland having previously only served London Gatwick, Dublin and Glasgow. "Venturing to London and now Paris is an indication of our ambitious growth plans as we move towards becoming a global network carrier,” said Ed Sims, WestJet’s executive vice-president, commercial. “This is an investment that will help launch new flights in the future and further expand our presence in YHZ – a key driver in economic and employment growth." WestJet will be among 80 airlines taking part in Routes Americas 2018, including nine of the ten largest carriers in North America. All flights will be operated by Boeing 737-8 MAX. WestJet will begin daily service between Halifax and Gatwick from 29 April 2018 and Halifax and Paris from 31 May. In addition, it will add one flight to Halifax from Calgary for a total of 15 weekly flights. WestJet currently serves 16 cities from Halifax, up from six in 2013, including ten Canadian, two transborder, one international and three European destinations. At peak summer schedule, the airline will operate more than 25 flights per week. Since 2012, the airline's traffic from Halifax has grown by more than 160 per cent. As well as launching the new transatlantic routes, WestJet’s summer schedule will include a non-stop four-time weekly service between Calgary and Whitehorse, plus additional flights from Vancouver to Cancun, Cabo San Lucas, Edmonton, Kelowna, Ottawa, Regina, Fort St John and Victoria.